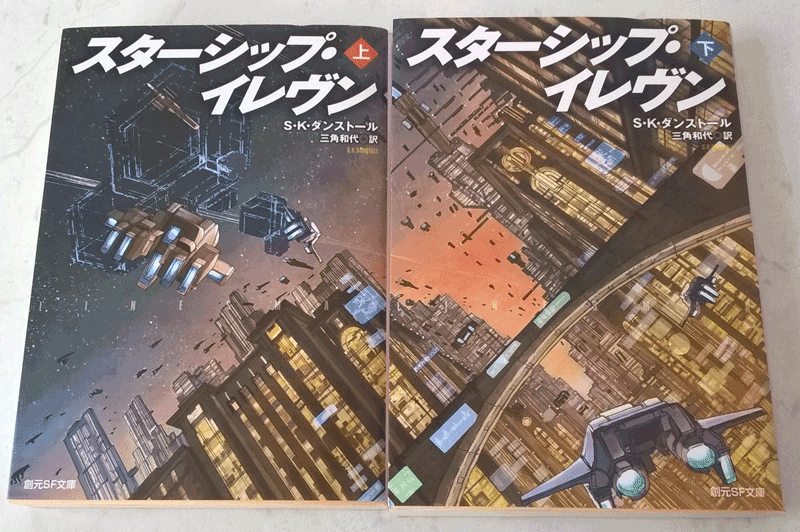 The Japanese versions of Linesman arrived in the mail the other day. They’re so tiny and cute. Smaller than a paperback and half as thick. Look at the covers. If you put them together, as we have above, they combine to make one long picture. The cover illustration is by K. Kanehira. The cover design is also credited, but sorry, awesome cover design person/people, we can’t read your name, and we don’t know how to get the name from the book to screen. Likewise, we’re not too sure who the translator is. Google Translate gives us Triangular Kazuyo. Hmm. That might be right, but we think we’ll have to confirm this. More as we find out. If anyone knows, please let us know. Update 25 April. S.E. Jones mentioned that the book is in two parts, and told us the name of the translator. (See comments, below.) Kayuzo Misumi. 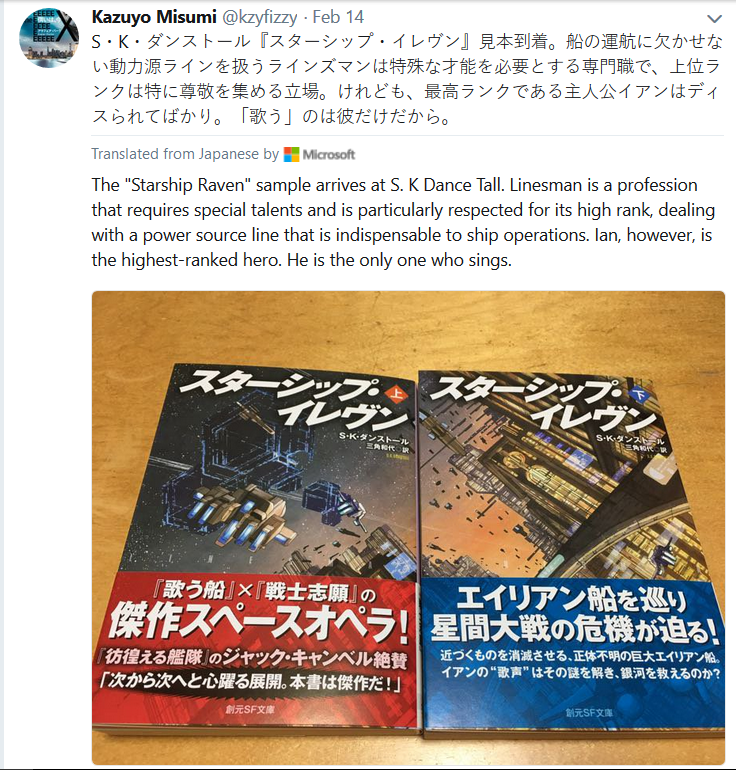 Here are twitter posts from @kzyfizzy on 14 February, which was when the book was released. I do like the way our name translates phonetically into Dance Tall. It sounds so much better than it’s literal translation of the ‘brown stone’. Thank you, S. E. Jones. Thanks for this. Much appreciated.